Because life always looks better from the back of a horse! These quotes are from the book, “Robinson Jeffers, Poet of California,” which I have just finished reading. I was inspired to read this book because Jeffers is much quoted in the Tom Killion book I read previously (California’s Wild Edge), and Killion recommends this biography of Jeffer’s life. I found it fascinating. As with many books I’ve deeply enjoyed, I tend to engage in mental arguments with the author. And in this book my arguments centered on two things—sense of place, and the nature of God. Today I am going to write about “place” (as the easier subject), and save God for another day. As the quotes above tell, Jeffers was aware of the disturbing energy that swirls around the coast from Carmel through Big Sur. It is palpable to me—I’ve been there often and I never fail to feel it. I could no more live on the “south coast” than I could live on the moon. It would break my heart with its fierce, uncompromising, almost hostile nature. Beautiful, yes—but not friendly. Jeffers chose to live there, and the inhuman ghosts of Big Sur/Carmel underlie his writing, as well as his life. It was a choice that perhaps suited him, but it would not suit me. It’s all about place. Different places speak with very different voices and tell very dissimilar energetic stories. Not all places will embrace you and protect you, no matter how much you love them and how long you make them your home. Some places, like Big Sur and the high Sierra, will never be comforting to a human heart. They can thrill you and challenge you, yes. They are beautiful and desirable, yes. They are inspiring to visit. But they are not steady, kind, lifetime companions. Big Sur is oddly haunted and the Sierra heights are aloof. Too wild, too harsh, too steep, too rocky, too windblown—you name it—they are overwhelming to human consciousness. Certain sad human endings, I think, come from a failure to understand how places in/on the earth speak to our hearts. Make your home in a place that will never condescend to be your friend, and watch what happens. But there are some valleys, some meadows, some protected hollows in the coastal hills (as here in the most inland arc of the Monterey Bay) that will comfort you. They will take care of you, in so much as landscape can love the animal creatures that walk around on her. Vast and intangible energy, but none the less love. These places are friendly and fond. It is there in the soft color of the light, the gentle, relaxed feeling of the land, the freedom of the native plants. It is there in the winter sunlight of a certain southern exposure where I live on this California coast, and it is there in the way of the wild things, plant and animal, that have been here before men walked on this ground. There are places that will nurture you. If you love them long enough, you come to trust them. And your trust is not misplaced. They will protect you. Love is possible. Love between person and place. But not all places are fitted to love people. A person needs to pay attention to the nuances of the light. Is it warm or cold? Does it soothe you with a calm strength, or challenge you with its restless energy? Those who choose the wilder, storm-tossed places-- as Robinson Jeffers chose an exposed headland near Carmel, above Big Sur-- are not choosing wrongly. But they are choosing a certain loneliness that will not go away. Such places/choices can make great art; they possibly make an inspiring human, if that being is strong enough. But these places will never hold you in their lap, as a mother holds a child. And there are places that will do this. I live in one. Judging by the stories in the book I just finished reading, a great many people who lived near Jeffers ended up caught in the wild meshes of a truly untamable land, and came to sad and untimely ends—driven there, as far as I can tell, partly by the inhumanly beautiful and awful (in the old sense of the word) landscape. Jeffers seems to understand this, and to some degree relish the drama of it all. I can’t say that I feel the same. To those who can read a sense of place and see clearly, the choice is there. The choice is yours. 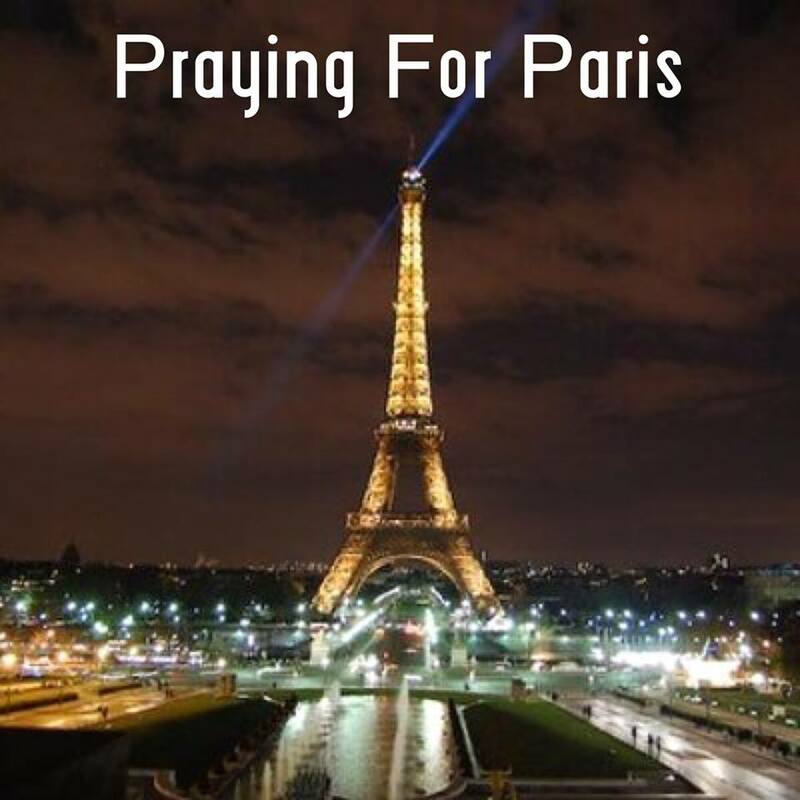 Paris, nous sommes avec vous. 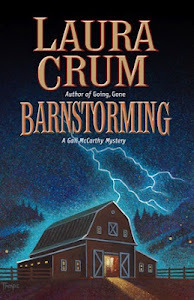 I was in the middle of edits on my 4th book in the Peri Minneopa series (non-equine mystery stories), when I got the email reminding me that Saturday is my day to post on this blog. My horses are doing fine, my family is all well, so I was planning a Thanksgiving blog, to list all my blessings and ask you to post yours. It would be fun. In the midst of editing, I confess, I fell asleep. It seems to be a thing I do in the afternoons, whether I want to or not. I think it's a combination of too little nighttime sleep, too little caffeine, and a too comfy chair. At any rate, when I woke up, the world had changed. The title of this blog post is also the title of the book I’m currently reading. A present from a friend, the book is another collaborative effort between the woodblock print artist Tom Killion and the poet Gary Snyder. Both the words and the illustrations are equally beautiful and evocative of the California coast—where I was born and raised and where I hope to live until I die. Beauty, is the sole business of poetry. The love, lust, longing: reasons, but not the reason. And “There is yet one ocean and then no more, God whom you shine to walks there naked, on the final Pacific, not in a man’s form. The torch answered: Have I kindled a morning? As the hawks and sea were occupied. Now he could not say what bought him back. And jellied eye rotting in the pools of bone. Anguish afterwards perhaps, but he had not thought afterwards. Human anguish made him cold. I am a child of California’s wild edge. I am not that thing. As he strides across the night. It’s a sad song—but it sticks in your mind. So yeah, it all seems to fit together. And here are a few photos I’ve taken of horsemen on the wild edge-- just for fun. When people tell me they're having a senior moment, I say I much prefer the term "toddler moment." I haven't forgotten anything, I'm just distracted by a shinier toy. So today is my day to post, according to the calendar, and I haven't got a whole lot to discuss. My horses are doing well. Snoopy has finally settled into his new home. We had to get the vet involved. After a shot of hormones and Dr. Brigid telling him that she knows where he is and will tell Santa, he got the message. He's still a big goofball, but at least he's a relaxed goofball. My trainer Niki and I are planning which horse shows we'll go to in 2016. As you all know, we plan and God laughs, so we'll see which ones we ACTUALLY attend. They're currently in paperback only, but they'll be available in ebook on or before Halloween. Beyond all that, the reason I referred to tchotchkes (Yiddish for "small, inexpensive trinkets") in my title is that I thought, since I don't have anything horsey to report in my own life, I thought I'd share some photos and videos I've seen in the past month or so and really liked. Nothing important. Just small, inexpensive trinkets. Next, I really liked this video of horse/dog trail. I could probably train Duffy, my corgi, to do this course. I'm just not sure if I could train Snoopy not to try to catch Duffy so he could pick him up and toss him. 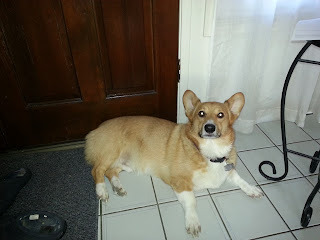 Corgis are football shaped, you know. "I am NOT a throw toy!" Finally, I just never get tired of this video. You're quite the imp, Possum. So once again, apologies for the lack of posts. My life has been interesting and magical, but it is beyond my current abilities to put many words down about it. 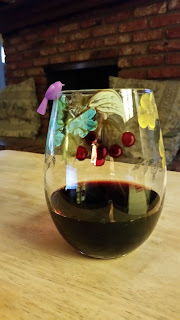 So today I can give you a few snippets and quotes and that’s about it. Lately I have been sitting by my pond in the evening, drinking rye whiskey and soda, and reading “The Dharma Bums” by Jack Kerouac. How did I miss this book in my youth? I read “On the Road,” but not this one. And this one is magical. I found the book because a friend gave me a book called “Tamalpais Walking”—a collaboration between the woodblock print artist, Tom Killion, and the poet, Gary Snyder. I posted about this book last time (I Know, No Posts). The book had a lot of back story about Gary Snyder and Jack Kerouac and explained that Gary Snyder is the “hero” in “The Dharma Bums”—a character named Japhy Ryder. So I decided I needed to read The Dharma Bums. And it arrived a few days later—thank you, Amazon. For the last few evenings I have been sitting by my pond and reading this book. And laughing out loud. And being amazed. So many things seem to be coming together. 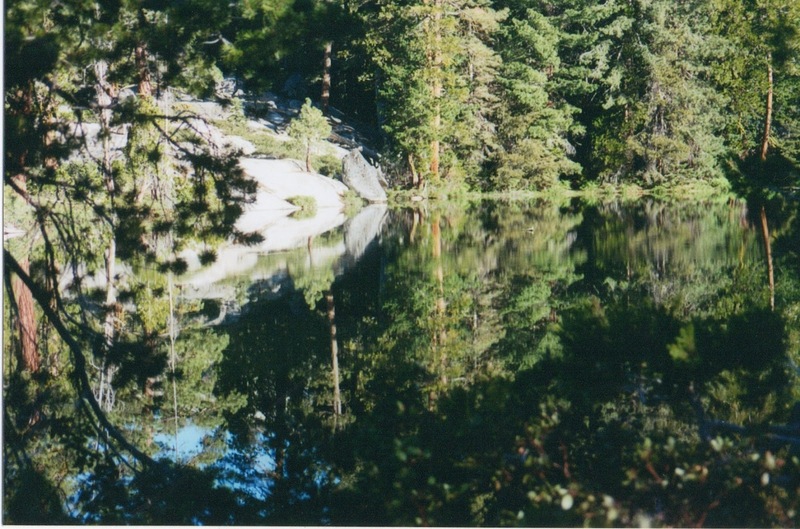 The book reminds me of sitting by Burgson Lake in the Sierras when I was 22 years old, miles from any other person, reading “Roughing It” by Mark Twain, and laughing out loud as I drank cheap jug wine and watched the sun go down. The passages about the Sierras take me back to the summers I lived in those mountains—one year alone by Burgson Lake, one year working at Kennedy Meadows pack station. And all the many horseback pack trips over the mountain passes that came later. When Japhy and Ray go into the Sierras out of Bridgeport, Bridgeport comes back to me as vividly as if I were there yesterday. And there are so many lines in the book that are things that Andy used to say to me. I know he read this book—but I didn’t realize that the lines came from the book. As Ray tells Japhy what he thinks of other people: “Equally empty, equally to be loved, equally the coming Buddha.” Andy used to say that to me all the time. It all feels so connected. Anyway, hey, if you haven’t read “The Dharma Bums,” read it. It’s a whole lot of fun. And, just because I like them, here are some quotes that my dear friend, Shannon Schierling, posted on facebook. Thank you, Shannon. Once again, my apologies to those who liked to read my blog posts. My life has just been so busy lately. Many new projects, much change-- very engaging, but no time to write. But magic is real. I’ve written about this so many times—I don’t really have any new words for you. Watching the almost full moon rise behind the big eucalyptus tree on a gloriously warm September evening, my heart is full. It amazes me that after all I have been through I can feel this way as I look at the moon. Or perhaps it is because of all I have been through? In any case I sit by my pond and drink whiskey and soda in the evening, watching dragonflies and the light change in the sky, and feel content. And I'm grateful for that. On a warm, moonless night I sat by the pond and watched Orion rise above the eastern ridge and stride across the dark three AM sky. Twice I saw shooting stars. And yes, I wished. A friend gave me a lovely book—“Tamalpais Walking”—a collaboration between the woodblock print artist Tom Killion (I have several of his prints here on my walls) and the poet Gary Snyder. I highly recommend this book. And I’m going to close this brief blog post with some quotes from the book that touched me. Most of them are by Gary Snyder. “Not even once,” someone said, “can you step in the same river.” Landscape with nuance. Every night the drama will have new turns and meanings. One who learns this will never be bored. Nature, not in the abstract, but (like anybody) a kind of being actually there to respond to being seen in the moment. Gratitude to the particular is never in vain. Relationship to place is real, not as an idea but as a way. May we all find the Bay Mountain that gives us a crystal moment of being and a breath of the sky, and only asks us to hold the whole world dear. Of course, I'm talking about opinions. It's been almost 3 weeks since we've moved to our new stables. I think the move went pretty well. It was a lot of work, and I would have liked to have left with better feelings from the owner of the previous place - we were (and hope still are!) friends, but the last day was filled with tension. 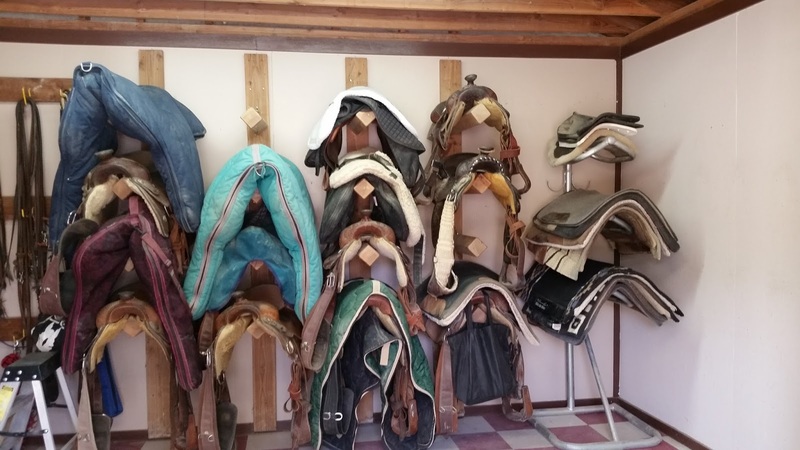 We got our tack room all organized! We're still finding our way around the new place. Everyone is very friendly and accommodating, willing to show us where things are, take turns for the turnouts and round pen, etc. I love the arena. The footing is a combination of sand and synthetic that is very soft and springy. Very good on Snoopy's legs. Speaking of Snoopy, he's not as happy with the new place as I thought he'd be. Where Frostie settled into her stall without complaint (and is already growing to fat-as-a-tick status on the new diet), he has not quite accepted the fact that he's in a new home. He's eating a lot of hay, plus senior feed, but the first week, he paced so much in his stall that he lost significant weight. 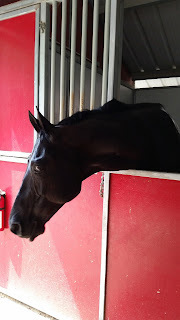 Any time another horse is taken out of the barn, he screams until they come back, and sometimes, he rushes his stall door so frantically that we close the top, afraid he'll try to jump out. The best we can reason is that he knows he's not at a show, but he can still smell/hear/sense his old home nearby (it's two doors down), so he is confused about just where he is. Some days he acts like he's settling. Then a horse leaves the cross-ties and he screams and rears and generally behaves like a loon. This week, we called the vet to try to see what to do. The weight loss isn't good for him, as I'm sure the stress is getting to his stomach. The vet gave him a shot of a hormone designed to relax him within a week, and last for a few months, plus some pills to counteract the excess acid in his stomach. It's only been one day, but he seems to be a little quieter. Of course, it could be because his favorite vet, Dr. Brigid Murphy came to visit. She told him that he's going to live here and it's okay because she knows where to find him, and she'll tell Santa where he is. The entire time she's talking to him, she's feeding him apple treats. I told her I tried to tell him, but he didn't want to listen. Maybe he listened to her. Come and visit us at the top of the hill - Hillcrest Equestrian Center! 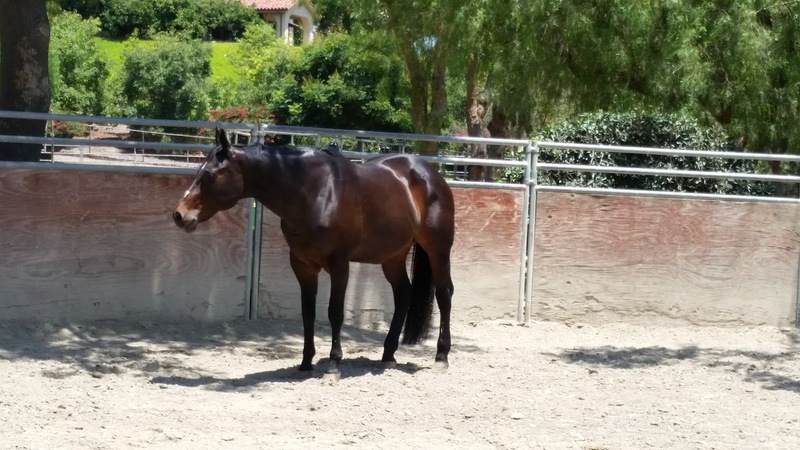 Have any of you had a horse that just wouldn't settle into their new place? What did you do to ease their anxiety? Coming Soon: New Equestrian Fiction "Show Barn Blues"
At last, a reason to blog! I posted over at nataliekreinert.com for the first time since spring, and now I'm going to share it over here with all you fine Equestrian Ink readers, because good news! A new book! Oh wait, that was me the other night at work. I'm telling you, that thing was HUGE. Anyway, it's been busy. Working at Walt Disney World by day (well, really, by night) and working at my computer by night (usually by day). It's a wonderful balance, when it works -- working at Disney lets me get out from behind a screen and chatter with people from all around the world, and working at my computer lets my voice (and my brain) recover from eight hours of all that chattering. It's great, but summertime can be challenging at one of the world's most popular vacation destinations... long hours, late nights, and a newly rediscovered penchant for sleeping until 11 AM can all take their toll on one's writing goals. However, I set myself a goal of finishing Show Barn Blues by the end of August, and I'm happy to announce that I've achieved that goal! Fully edited and ready to go, all we need now is the final cover design and internal formatting, and we will have ourselves a new novel! One of my favorite characters is Ivor, a sassy gray stallion. I'm excited to bring you this story, which has some characters and horses I just love, including Grace Carter (her name might be different in previous blog posts, this has been a long process), who is a been-there-done-that barn owner; her sassy gray stallion, Ivor; a former dinner show/hunter princess named Kennedy; and a cast of grooms, working students, and boarders who keep life interesting. 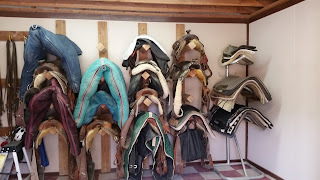 One challenge that I'm having with Show Barn Blues -- how to categorize it on Amazon. 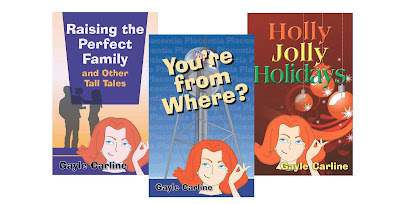 You might notice that on Amazon, the books in a series will show up on the same page. Look at Turning For Home's page and you'll see the other novels in the Alex and Alexander series right on the page, listed numerically. Nice, right? 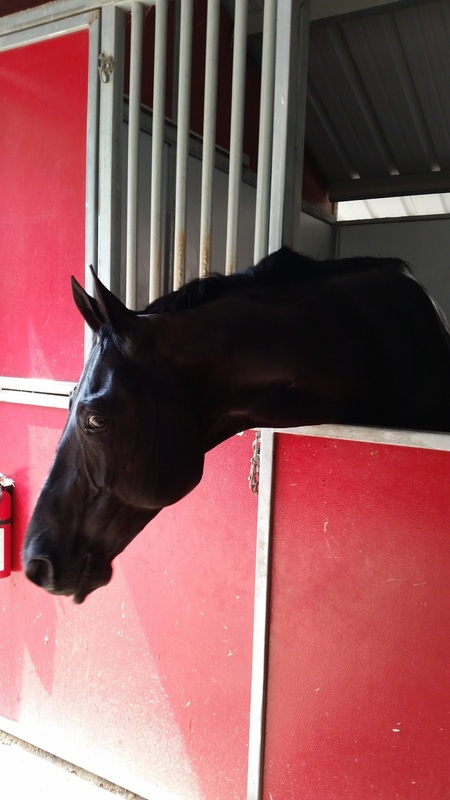 Well, Show Barn Blues is technically part of the Eventing Series, which begins with Ambition. The Eventing Series was plotted out as a trilogy, and the next novel, Pride, will follow Ambition. So that's logically Book 2. However, we're going to meet the characters from Show Barn Blues in Pride. They're important to the story. They just don't fit into the trilogy. They're like a bonus novel. Does that make Show Barn Blues "a novel of the Eventing Series," perhaps? It's a shame that Amazon doesn't allow "1.5" as a volume number, because I would just use that -- but I've already tried that particular scheme before and it doesn't work. Other than that conundrum, the writing life is good. I have all the tools I need for my final draft of Pride. Barring work insanity, I should have the next Jules novel to you by the end of the year. I'm rereading Ambition to make sure I have her snotty voice in my head, although Jules is softening... a little. She's still prickly, but life with Pete is starting to sand down those rough edges... a little. Maybe it shouldn't take me two years to bring out the sequel to a book as popular as Ambition, but it really does take me that long to write a book. I found notes the other day for Turning For Home, and they were dated 2013. I released TFH in 2015, so there you have it -- that's just the way I write! So get ready for Show Barn Blues. I'll have it out for you soon! Okay, that last title is not only not a real thing, it's only partially true. I like new things. New Ariats, a cute new outfit, new gadgets. I had to order a new watch yesterday (my watches tend to fall completely apart and I do mean completely after about a year of sun, heat, horse hair, dirt, sunscreen, sweat, etc) and I'm super excited to see that Amazon box on my front porch. 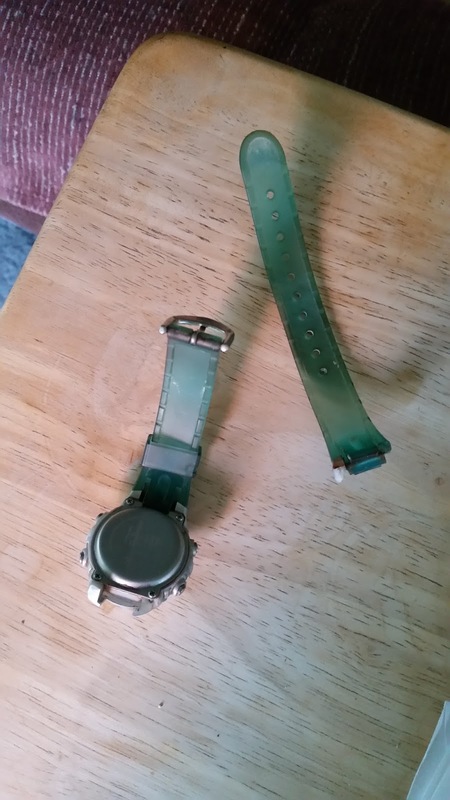 The sides broke and it stopped working. Changes, however, to my lifestyle? Not much of a fan, even when I'm the one who makes the change. Still, at my age, I know that nothing stays the same, you learn to roll with the punches, make lemonade out of lemons, and ask for serenity to accept what's out of your control. Of course, wine and chocolate help. Sorry, I ate the chocolate. The big change I'm dancing around here is that my trainer is moving to a new facility. It was a long-thought-out, carefully considered decision. She discussed it with all of her clients to get their opinions and their buy-ins. Our current facility has been slowly becoming less horse-centric and more dog-centric, and the new place is only two doors down from us. Our new tack room - so cute! I don't blame the owner--dogs are a more lucrative business in southern California. It will be a win-win situation for everyone. The owner can develop the remaining horse stalls and arenas into dog training and kennels, and my trainer can be at a full-on equestrian facility with more opportunities to grow her business. 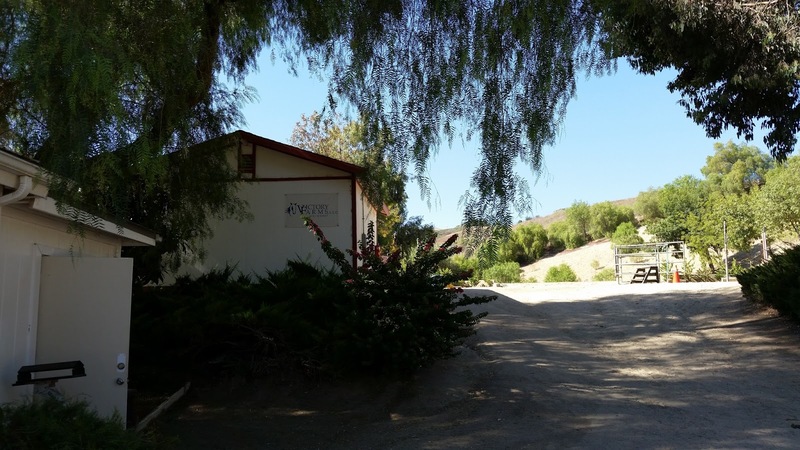 We've been at the ranch for 12-13 years. Snoopy was born there. 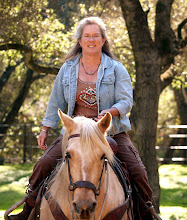 Before the owner got involved with dog training, she was my horse trainer. 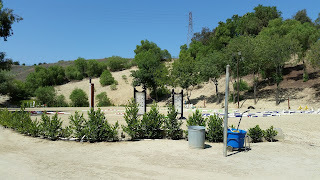 It's still a quiet and relaxing place to hang out while my horse is out playing, or standing in the sun, drying after a bath. In a way, it's like leaving home. 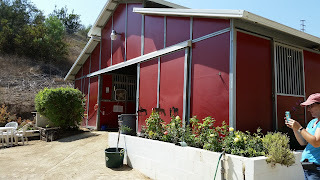 Snoopy's new barn. Frostie will be in a pipe stall behind it. And while the new place is lovely and has a lot of perks, I know the grass isn't greener. We now have to share resources with other trainers on the property. Compromising will be done. Adjustments (as well as mistakes) will be made. I've made the decision to take each phase as it happens. We are currently moving our stuff, bit by bit (no pun intended) to the new facility. 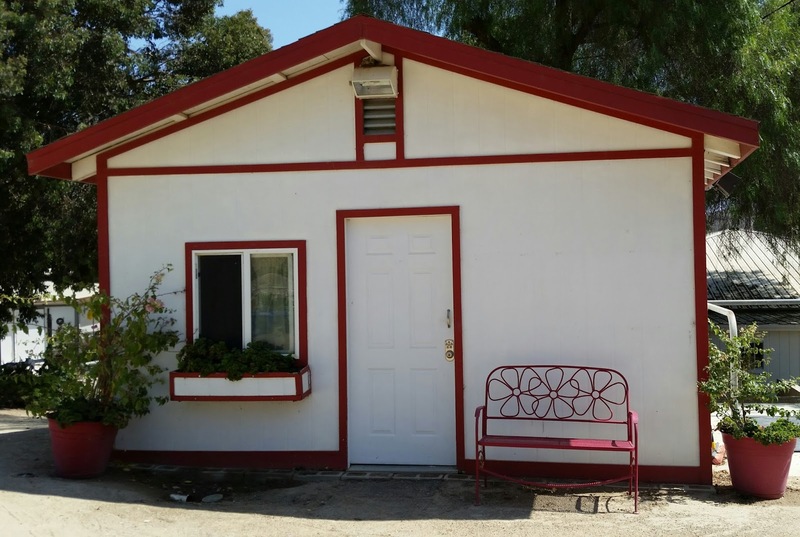 This is the "OMG, this place is wonderful and we're going love it here!" phase. We need this phase to keep the stars in our eyes while our muscles ache from all the schlepping. Once we move in, the "Hmm, this place has too much/too little of x,y,z" phase takes over. It's like piercing your favorite balloon and watching the air seep out. I will accept this and move through it with a glad heart. And wine and chocolate. How do you handle changes in your life? Of course, I had to include the song. It's stuck in my head. Now it's stuck in yours. You're welcome. I’m sorry for the recent lack of posts. My life has been very busy lately and I haven’t had the time for writing. This is actually a good thing, and I’m grateful to be engaged with some new projects. But such a busy period doesn’t lend itself to creating blog posts. I don’t have a decent post in me at the moment, so I thought I’d share a few photos to illustrate the magic that I still find in my life. Sitting by the pond is always magical. Summer is the season of water lilies and dragonflies. My boy is growing up (shown running away from the camera—does not like having his picture taken). Seeing spotted fawns in our garden and watching them grow up is magical, too. And the begonias are in bloom again out at the Jefferson Ranch. I have been coming here in the summer/fall for many years. Not to mention I have been gazing at the amazing spectacle of the begonia fields since I was a little girl. Once upon a time they grew at our family ranch, and for well over twenty years now they have been grown here. I was grateful to be out here last weekend and see it all again. No matter how many times I’ve seen it before, it’s always magical. My husband Andy grew the eucalyptus trees that form the windbreaks from seed he collected out at the old family ranch. When these trees were trimmed, we burned the wood to heat our home. It always seemed like a very satisfying life cycle. Like something is brewing, about to begin. This is Rags. She's one of our lesson horses. We don't know a lot about her, except that she's a breeding stock Paint Horse and her registered name is supposedly Batteries Not Included. I joke that she's a repo horse - her owner walked away from her board at a friend's ranch. 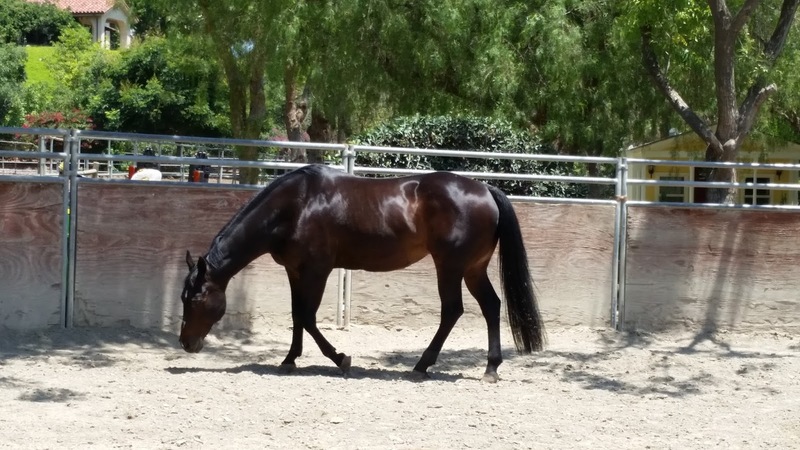 My trainer, Niki, needed a new lesson horse and she was a likely candidate. She proved to be a perfect lesson horse. Nearly bombproof, she toted kids or adults around the arena, doing her best to figure out what their wiggling seats and flapping arms were trying to tell her. 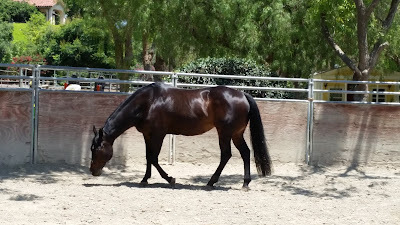 Her jog was slow and steady, and she's the only horse I knew who could actually sleep-walk through a beginner lesson. Her only problem was when you asked for the lope. She only knew two speeds, a slow gallop or a fast gallop. Loping, even cantering, was a pipe dream. This picture was taken this week. Isn't she pretty? So fat and shiny. Too bad, she's foundering. It started with what we thought was an abscess. She was walking, or should I say, limping, on her right front toe. Niki did the usual soaking, farrier, Bute treatment and Rags improved. And then she got worse again. The vet came out, and prescribed anti-inflammatories, antibiotics, etc. Rags improved again, right before she deteriorated. The vet returned to take x-rays, the last resort. They told the complete story. Rags' coffin bone in both front feet had turned to point down. Fuzzy areas on the x-rays showed the bone pulling away from the interior of the hoof. 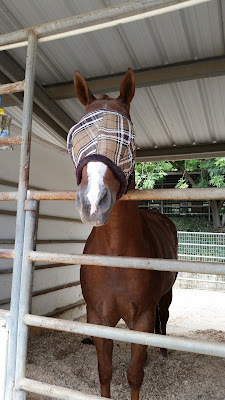 In addition, her right suspensory ligament was shot. The suspensory might heal with enough layup, but nothing would make those coffin bones stop their descent. Her shoes were evening her out and supporting her in all the right places, but they couldn't reach inside and level out her bones. No wonder she was limping. Niki doesn't have a lot of options for Rags. Perhaps we could find a pasture somewhere, but Rags tends to be aggressive with other horses and kicks at them, especially around mealtime. Since she can't have her shoes removed, she might injure someone. And retirement would not help her hooves. She'd still need daily medication and someone watching over her. I'm not even sure that would extend her life. We're making Rags comfy with Bute right now and letting everyone say their goodbyes. Niki will probably make The Appointment in a week or two. Send tissues. We'll all need them. 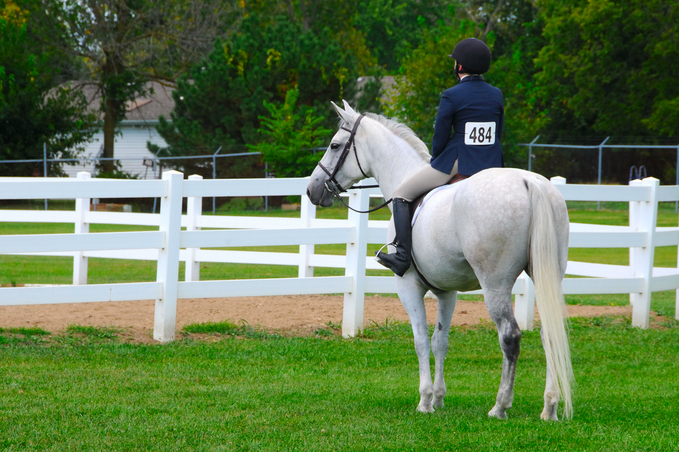 Here's the thing about an old lesson horse: they are worthless and priceless. You can't insure them, they're typically scruffy, and not very well put-together. You'd never mistake them for a highly trained show horse with perfect confirmation. And yet, finding that horse with a good attitude, a quiet mind, and and understanding heart, one that will teach a new rider confidence, is like searching for that pearl among the oysters. Once you find them, you never let them go. How I wish our old horses would never die! Or at least, they'd introduce us to their replacement. Rest well, dear Rags. We love you. A friend of mine posted this quote on facebook and it made me think. There is a lot of truth there. The way I often phrase this concept to my son is, “Nothing worth doing is ever easy.” I find this to be true of people, animals, and pretty much everything else in life. I guess it depends on how you define the word “suffering,” but my experience has been that all the good things in my life have also been a very real struggle at times. My relationship with my much-loved husband wasn’t always easy either. We were both strong people; we butted heads when we disagreed. But there was no moment when I didn’t know that whatever pain came to me from our struggles, Andy was and is entirely worth it. My love never faltered. I don’t believe his did either. “If she’s amazing she won’t be easy; if she’s easy, she won’t be amazing.” Another quote from Bob Marley. Yep, if you speak the truth, you are difficult. If you don’t go along with the crowd, you are difficult. If you stand up for what you think or feel, you are difficult. If you don’t knuckle under when pushed on, you are difficult. If you defy authority when authority tries to bully you, you are difficult. If you follow your dreams when others find this inconvenient, you are difficult. So yes, I am difficult. But maybe that’s not so bad? When it comes to horses, I have known my share of difficult personalities. Perhaps the best horse I ever rode (Flanigan), was rejected by his previous owner for being difficult. (In fact this owner tried to starve the horse into submission and almost killed him—reducing him to skin and bones.) Flanigan was cinchy and he would buck. He also wasn’t friendly and would pin his ears at you and scowl ferociously. But if you handled him appropriately, he would do anything you asked, and he was an immensely strong, competent horse that could perform in amazing ways. I was able to do many things in my life that I can’t imagine I ever would have done without this particular horse (compete effectively at team roping, cross the Sierras numerous times over some very rough passes…etc). I loved Flanigan. But he was undeniably difficult in many ways. A strong, honest, opinionated personality—with a heart of gold. Maybe that’s not such a bad thing? I was sitting in my barn one evening pondering my many faults and being sad for all the times I was/am difficult for those that I love. My little yellow horse walked up to the fence and nickered at me. And then, suddenly, for a brief moment, I really got it. Because Sunny is the personification of difficult. Those who have read this blog for a while may remember my numerous posts about the way this horse wants and needs to test his owner/rider/handler. Sunny will periodically try to evade being caught, offer to kick, offer to nip when cinched, try to step on your foot when being saddled, try to evade being wormed or fly sprayed, refuse to load in the trailer, try to balk when he’d prefer not to go a certain way, crow hop when he’s feeling resistant…etc. Sunny doesn’t do any of these things in a very determined way—if you are firm with him he knocks off the cross grained behavior very quickly. But he always needs to try it occasionally—it’s just part of who he is. The thing is that I don’t mind it at all. I’m quite willing to conflict with Sunny when he asks for it, and set him straight on who is the boss in our relationship. I’ll wallop him any time he needs/demands it. But I’m not angry with him. I like him. His ornery ways just make him interesting. And it is this very same tough-minded attitude that makes him such a steady, confident, reliable trail horse—and it is for this reliable-ness that I love him. Because I do love Sunny. I love him because he’s come through for me over and over again—every time it counts. He’s kept me intact and helped me keep my son safe in all kinds of situations that could have gone the wrong way. I trusted him and my trust was not misplaced. I love him for what he’s given me and I will take care of him for the rest of his life out of love. Would I have loved him more if he was easier and sweeter? I don’t think so. It is his tough mindedness that gave him the ability to be so confident and reliable. And it is his funny, ornery personality that makes him so interesting. I love him the way he is—his cranky ways don’t bother me. And in the moment when this truly sunk into my mind, I understood that maybe Andy felt that way about me. Because for all my cross grained ways I am reliable as Sunny is reliable. I came through for my husband and son in every way that I knew how—I was and am completely devoted to them. Maybe being difficult is not just a negative? Sunny’s ornery, opinionated ways are honest and open—he’s not afraid to show who he is and how he feels. I like that about him. I like his strength of mind. Whatever frustration he’s caused me, he’s been entirely worth it. Sunny and Flanigan were and are two very strong individuals—and it is that very strength that caused me to love them. Just as it was the huge strength of character in my husband that drew me to him. Strong beings aren’t often easy. And maybe love is partly about feeling free to express who you are--even when it is difficult for others--and trusting that you will still be loved. As I say to my son, "Nothing worth doing is ever easy." Perhaps I should add, "Love isn't about what's easy, either." This has been true (for me) not only concerning personalities and relationships, but also events, activities, disciplines…you name it. Finishing my first novel wasn’t easy. It took persisting in the face of much undermining by “well meaning” friends and family members. 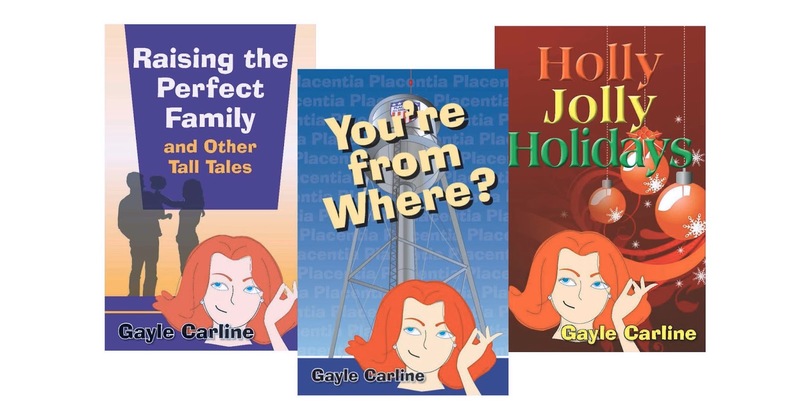 Getting published by a major publisher wasn’t easy. It took years, lots of struggle, and many dark moments. Learning to train horses and compete effectively at cutting and team roping wasn’t easy. Ditto the years, struggle and dark moments. Creating a garden in these dry California hills complete with veggies, greenhouse, rambling roses, fruit trees, swimming pond…etc—yep, took years of struggle and constant effort. Not easy at all. But all those things were entirely worth it. So I guess my take home message is that maybe we should look past what is easy. In horses, and people and life pursuits. Instead of looking for what’s easy, maybe we should look for what’s worth suffering for. Any takers? And no, I don’t mean my books. I’m not even talking about “horse books”—sorry Equestrian Ink members and followers. I know fiction about horses is supposed to be our theme here. But the books I am writing about today are the ones that have spoken to me lately. And, as you all know by now, lately I am only interested in “what counts.” Life seems too short to me at this point to seek entertainment for entertainment’s sake. Though I will admit that some of the books that have helped me “see the light” have also been entertaining. (And I have read horse books that seem pretty magical—there have even been a few fans of my books who thought that my own mysteries were magical—so I’m not discounting horse fiction here.) Also, I am enough of a writer to find a poorly written book so annoying that no matter how touching the subject matter I can’t get through the book. (Certain self-published books come to mind-- my apologies here to all the authors of excellent self-published books, because I know you are out there, too, but some self-published books are just nightmares to those of us who wrote under the guidance of the incredibly picky and experienced editors in large publishing houses. And I also grew very frustrated with several “mass market” type self help books that were clearly written quickly in order to make the author a little more money.) But some books have been truly magical—and a great gift to me at this time. The first magical book I want to mention actually came to me in a magical way. Or so I see it. Several people had mentioned a book called “Proof of Heaven” by Eben Alexander to me on facebook. I was familiar with the concept of the book. A neurosurgeon who does not believe in God or heaven has a NDE and becomes convinced of the truth of the afterlife. I wasn’t actually too interested in this book. I had no intentions of reading it. But lo and behold, when a box arrived from Amazon one day, this book was in it—along with some shampoo that I distinctly remember ordering. I do not remember ordering the book. Of course, I could have ordered the book after a couple of whiskey and sodas—and might not remember. But I ordered the shampoo one afternoon—completely sober—and Amazon doesn’t usually put things in the same box unless you order them close together. Go figure. I don’t know how I came to receive the book, but once it was here I read it. And it was magical. I know books about NDEs are relatively common—but I haven’t read very many of them. This book touched me in several ways. The author’s obvious sincerity most of all. The fact that the book confirmed many things that I have believed for a long time also resonated. But the bottom line is simply magic. The book spoke to me of the real magic that underlies this world. And that was so helpful. I recommend it highly. The next magical book was given to me by a new friend. I am not a Buddhist and neither is she. But the book is a collection of writings by a Buddhist nun. (“The Pocket Pema Chodron”) Many of the concepts were rather disorienting to me. But the book makes me think. It opens my mind. It speaks to suffering and loss in a different way from the western notions we are accustomed to hearing. And my husband did much Buddhist training and practice, though I don’t think he would have called himself a Buddhist exactly. He didn’t much care for labels. (I believe when he was asked his religion on a hospital form he wrote “Evangelical Druid.”) In any case, the Buddha is said to have told his followers, “Don’t listen to me. Go have your own experience.” And this is a sentiment that resonates for me. I recommend this tiny book of Buddhist insights—a lot. I don’t agree with everything in it. Heck, I don’t really get a lot of it. But it helps me to open my mind. It helps me move toward peace. Besides these books, which have truly moved me, I have read quite a collection of other books given to me by friends or recommended by friends. Some of these spoke to me more than others, but I will list a few here, in case they help someone else. “Gift of the Red Bird” by Paula Darcy—story of a women who lost her husband and infant daughter in a car wreck and her path to healing. “A Grace Disguised” by Jerry Sittser—story of a man who lost his wife and daughter and mother in a car wreck and his path to healing. “H is for Hawk” by Helen McDonald—story of a woman who lost her beloved father to a sudden heart attack and who embarks on a path of healing through a hawk. “The Art of Stillness” by Pico Iyer—an international travel journalist’s exploration of going nowhere and doing nothing—and the magic to be found in such stillness. All of these books offered insights that I found helpful. I re-read “A Grief Observed” by CS Lewis—a book I have read many times before. His clear, direct expression of his terrible grief at the death of his wife from cancer is deeply honest and moving. His faith is equally honest and inspiring. And I read, a little at a time, my husband’s blog ("Begonias in the Mist"--inspired by his job of raising the tuberous begonia crop for Golden State Bulb Growers--which he did for over thirty years)—to hear his steady, humorous voice, and see the magic he always found in the world. Here is a link to one of my favorite posts, "Names for Fog" The photo below shows a display of begonias at Andy's workplace that was created in his honor. If any of you have recommendations for books that illuminate the magic in this short mortal life that we live, please add them in the comments. I would appreciate it very much. I'm so sorry. Mea culpa. Let the flogging begin. I am normally on-track and on-schedule for my writing deadlines. Even "just a blog post" deserves my attention--I signed up to write a post, so I'm gonna write a post, dammit. I'm usually scheduled here the first Saturday of the month. Imagine my horror when I awoke to the email telling me to post on the last Saturday in June. You see, I'm not here. I'm in San Francisco at the American Library Association convention. It's a crazy weekend here, with the decision from SCOTUS that gay marriage is legal in all states AND Gay Pride weekend at the same time. I'm staying in a hotel that's pretty close to the parade. You have no idea how torn I am. Should I go to the convention and learn how to use crowdfunding to raise money for my library, or should I go to the parade (and possibly watch history being made)? One thing I am signed up to do is hang out in the Sisters-in-Crime booth at ALA and hand out copies of my mystery, MURDER ON THE HOOF. Hopefully, these copies will go to libraries that will hopefully include the book in their inventory. Hopefully. 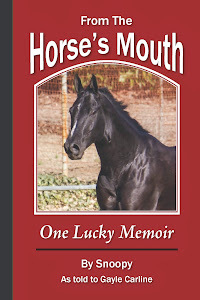 I know it's not a mystery, but I'm also giving copies of Snoopy's book, FROM THE HORSE'S MOUTH: ONE LUCKY MEMOIR. It's a book for all ages, so libraries might be more likely to stock it. At any rate, I hope you are all doing something fun or relaxing or meaningful this weekend. 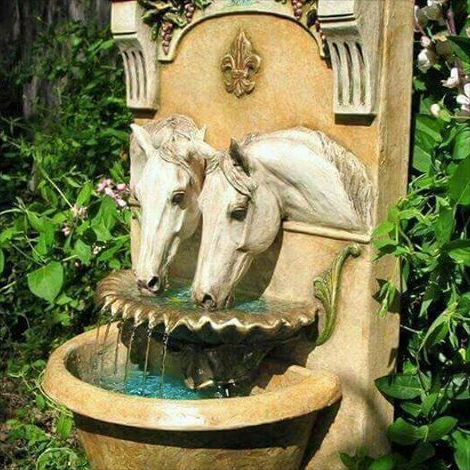 Hanging out with your horses would be nice. If I wasn't here, that's where I'd be! Stop by and leave me a comment if you'd like, to tell me how you spent your Saturday and Sunday. A trail rider's nightmare becomes reality when horse vet Gail McCarthy faces murder on the trail and must hunt down the killer before she becomes the next victim. Francesca Prescott lives in Switzerland and spent her childhood longing for a pony. With riding lessons only available to children over the age of twelve, Francesca spent years practicing her rising trot on the back ledge of the sofa, galloping imaginary horses all over the neighborhood, and scribbling pony stories. As an adolescent, a move to the countryside and an encounter with a pony-owning farmer finally made regular riding a reality. Decades later, she’s a dressage enthusiast and the proud owner of Qrac, a 9 year-old Lusitano. Her novel, “Mucho Caliente! - Wish upon a Latino Superstar”, a romantic comedy set in Ibiza, is available from Amazon.com. City boy Carson receives a temperamental gift horse complete with strings attached: transform a run-down horse farm into a showplace and a disorganized horse trainer bent on self-sabotage into a winner. 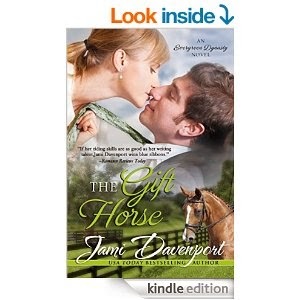 His horse trainer has her own agenda, one that puts her life and his heart on the line. 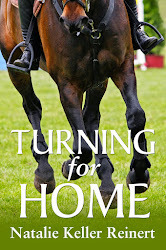 A young horse tells his story of becoming a champion, suffering an injury, and fighting to return to the show arena to prove he's the same horse he always was, only different. The exciting sequel to the Edgar-nominated Shadow Horse, Whirlwind answers readers' questions: what happened to Whirlwind? Will Hugh get caught and punished for his crimes? Does Jas ever find her beloved horse? Do Chase and Jas ever admit they like each other? Every racehorse must retire one day, and for Tiger, that day has come. Alex isn't ready to retire her friend, but when an animal rights group accuses her of horse abuse, she and Tiger find they have more to prove than that they can win races. 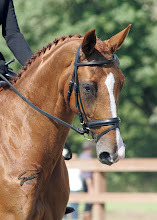 Gayliena (Jami Davenport), 16-year-old Hanoverian mare, dressage and trail riding. Large pony crossed on QH, perhaps. Said to have come from Mexico via a horse trader. Was originally a team roping heel horse. Age: Somewhere between ten and fifteen. Job description: Trail horse.